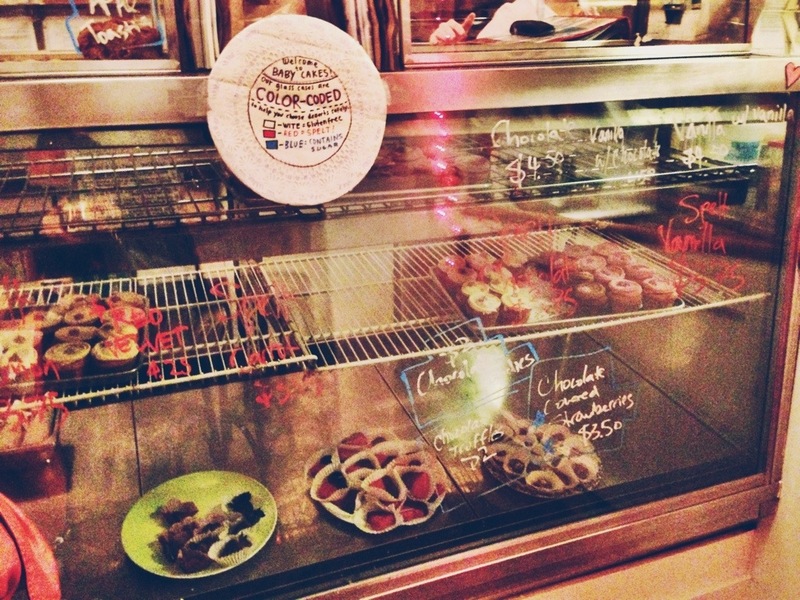 Just Pictures: New York City Eats – Cin Cin, Let's Eat! Somehow this post got deleted so I’m reposting this. 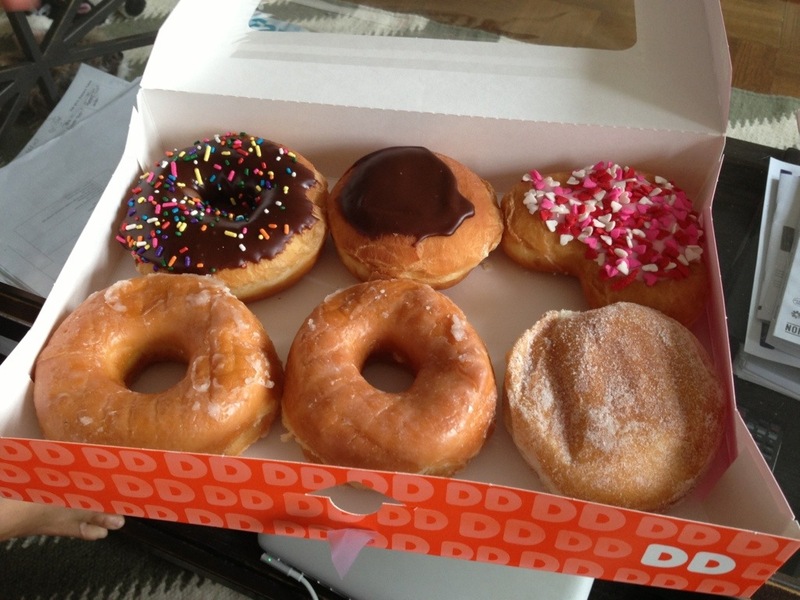 The trip is not complete without a taste of some Dunkin’ Donuts! I know, nothing THAT special about them, more like childhood memories…but I always have to get an assortment when I’m in New York. 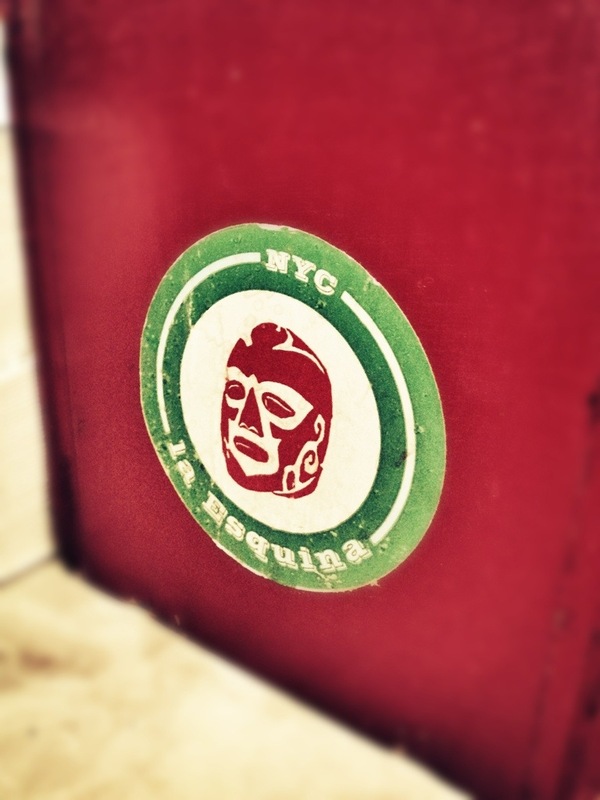 We visited the taqueria part, counter seating that seats 7 or 8. The cafe and brasserie next door offers sit-down options and a bar. 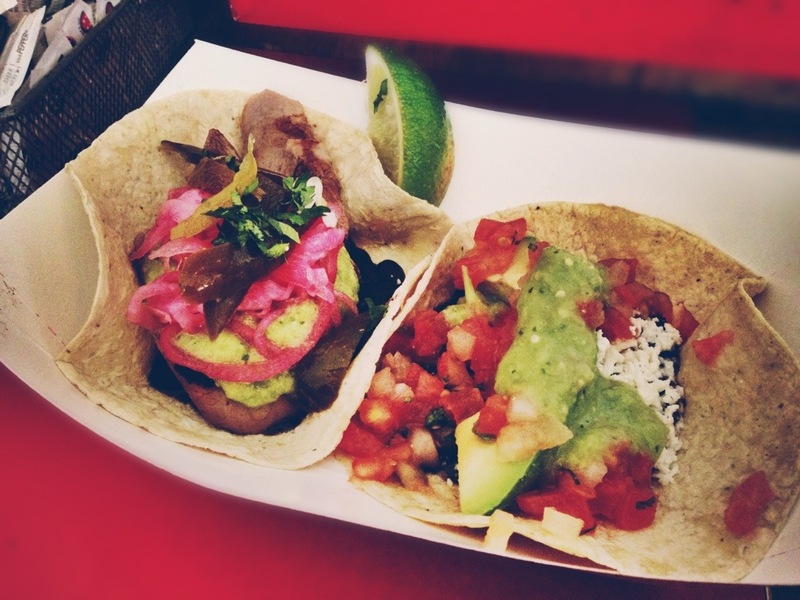 Ordered the lengua (beef tongue) and agucate (avocado) taco. SO delicious! 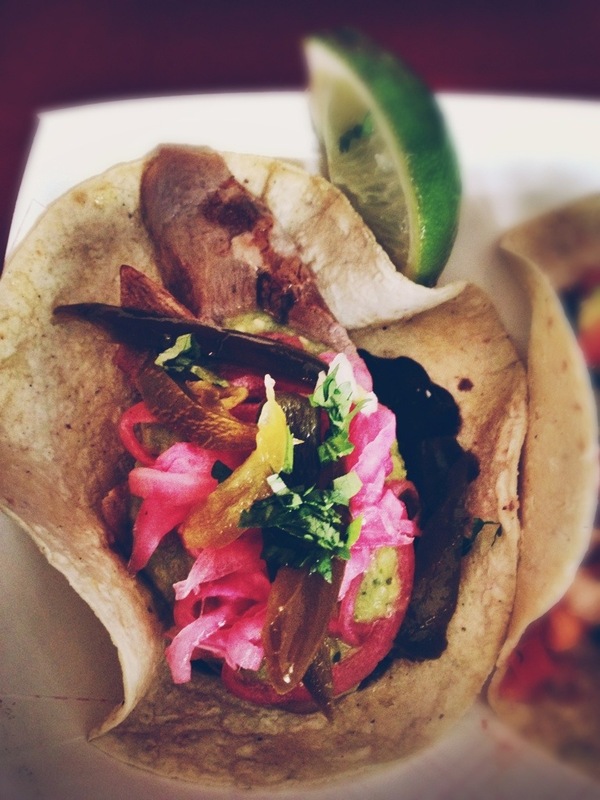 The beef tongue was in one long piece instead of chunks, tender and flavorful. The pickled onion and spicy peppers on top really enhanced the dish. 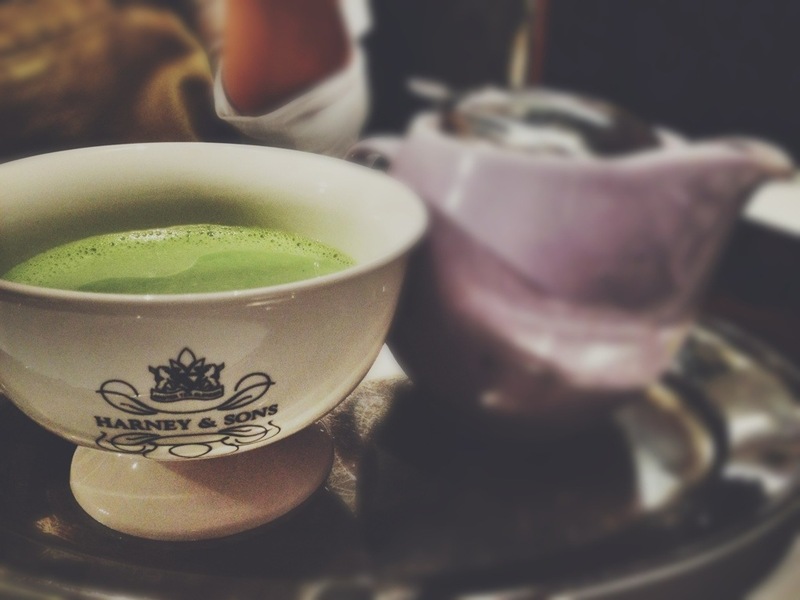 This was the perfect snack to recharge! Especially after a long and sleepless red eye flight and a short 1.5 hour nap at my friend’s condo. 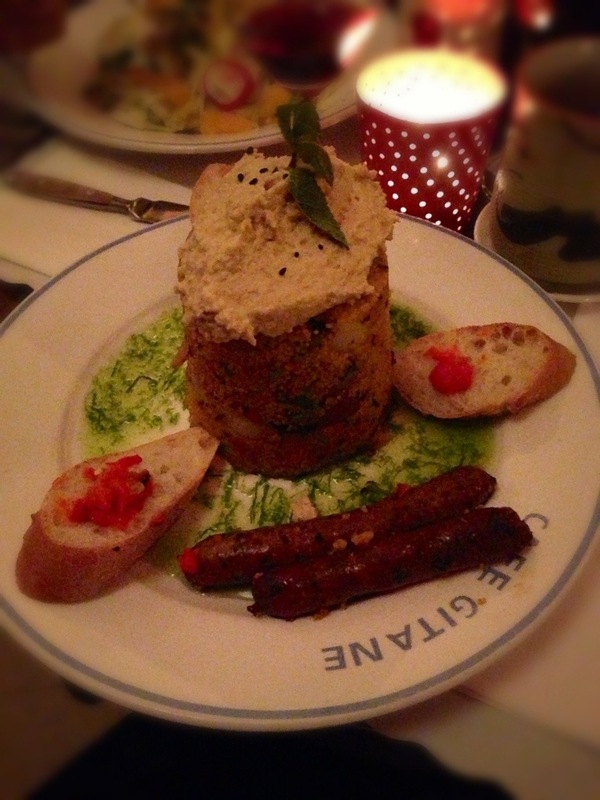 Moroccan couscous with hummus and merguez sausage. One of the best couscous I’ve ever had! It was light, fluffy, and extremely flavorful. 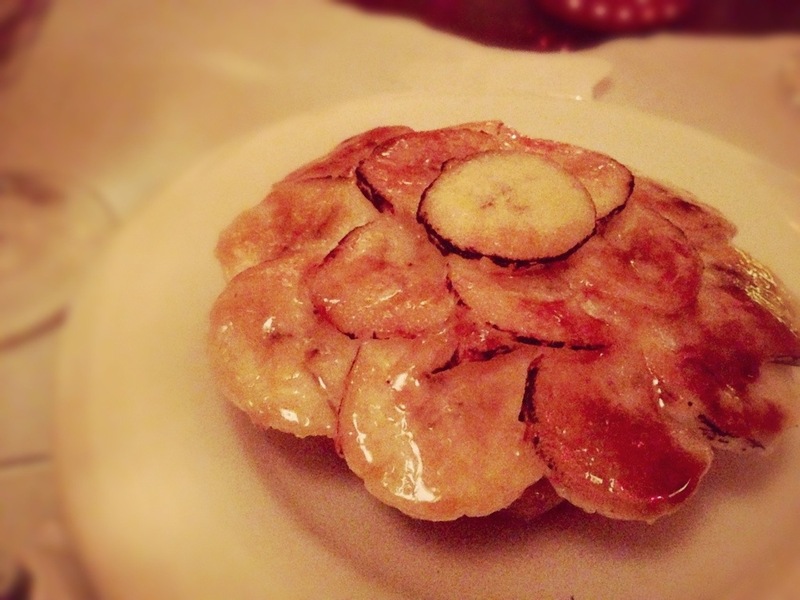 For dessert, we had room to share a bruleed banana cream tart. Expect a very tight and intimate setting, and expect a wait if you come at prime time, but regardless, you can count on a great meal. They are also famous for the avocado toast, but at $7.50/serving, I couldn’t justify spending that much on something I can (probably) easily copy at home. 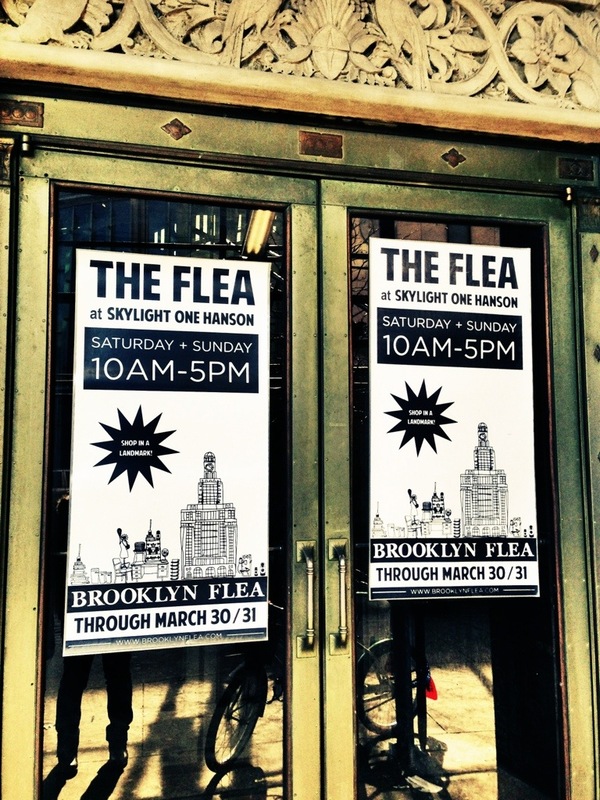 Brooklyn Winter Flea at the Skylight One Mansion. 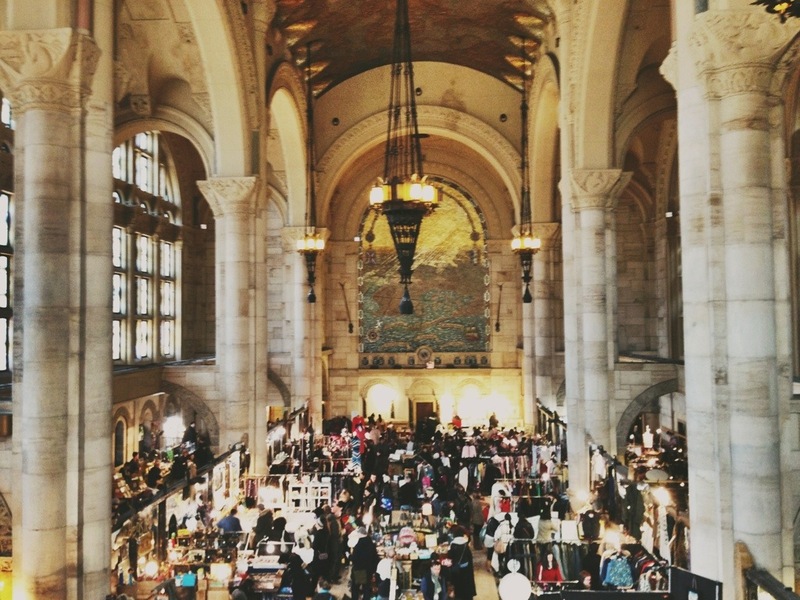 You’ll find lots of talented crafters and awesome second-hand/vintage goods here. This used to be a bank! How gorgeous is this? The food section is downstairs. There were about 10 vendors selling from donuts, chocolates, to burgers, korean tacos, and ramen. 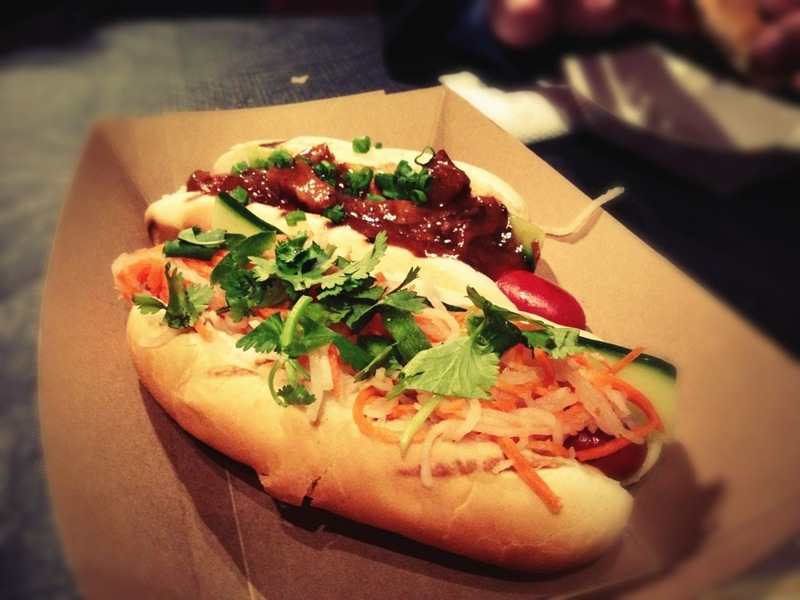 We ordered a pork belly dog and a banh mi dog. Not bad, but it’s no Japadog! Also ordered a kimchi pork slider (not pictured), which was really yummy. 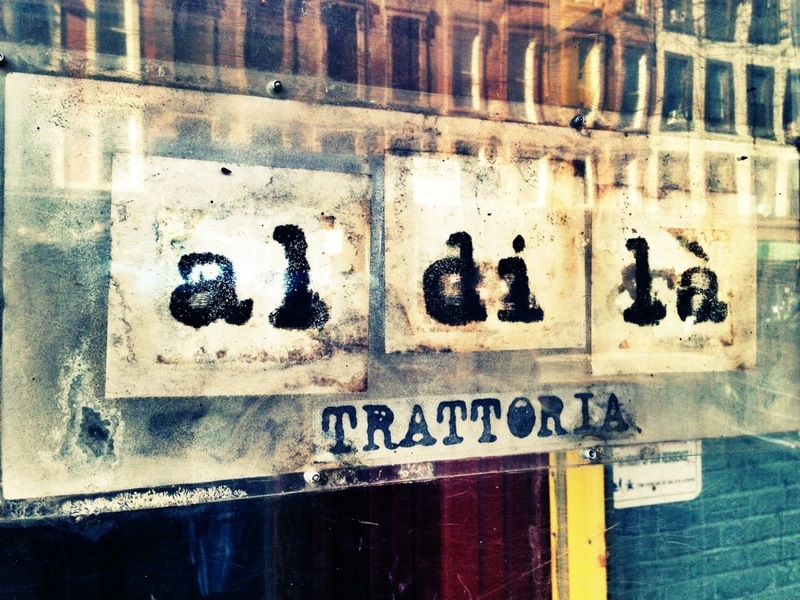 After spending a couple of hours at the Brooklyn Flea, we walked a few blocks over to Al Di La for lunch. Since it was SO windy and cold that day, we ducked into all the cutest boutiques along the way and shopped our way towards lunch. 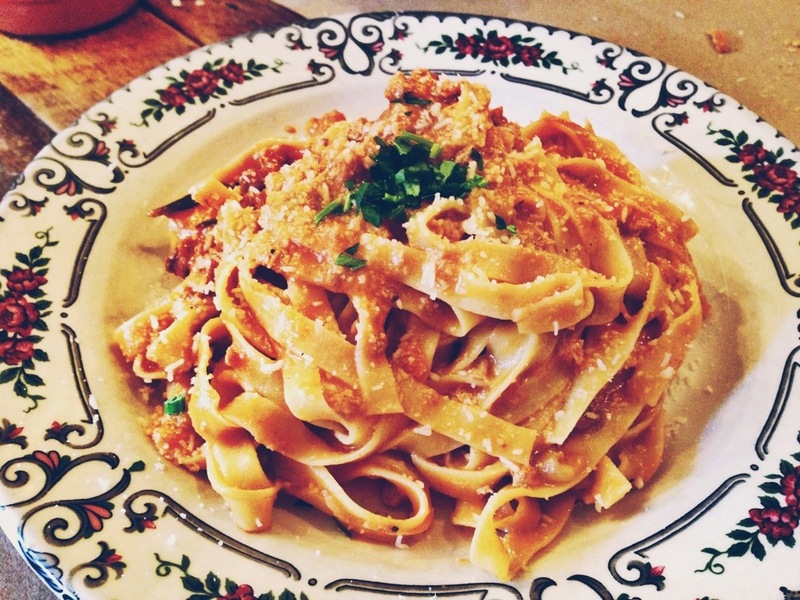 This was a great Italian restaurant, casual, non-pretentious, small menu, and just very good food. 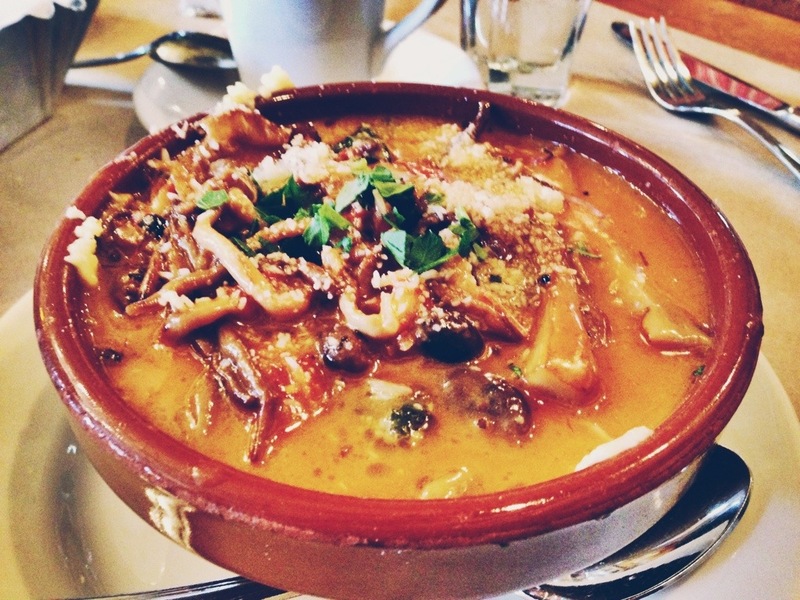 Funghi e Polenta – Sauteed mushroom over braised greens, polenta and parmigiano. A side of potato. Mmmm, buttery with crispy sides. 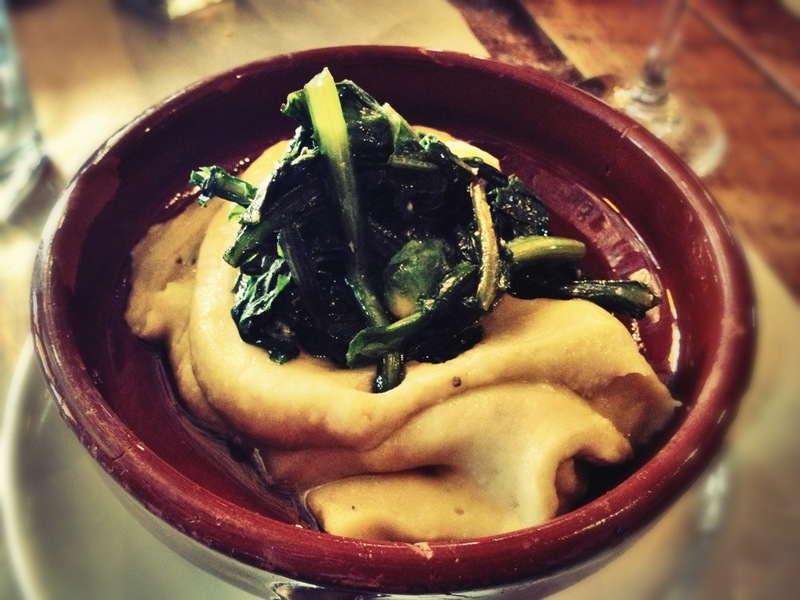 Fava bean puree and sauteed dandelion green. This really grew on me. So tasty with hot bread too. 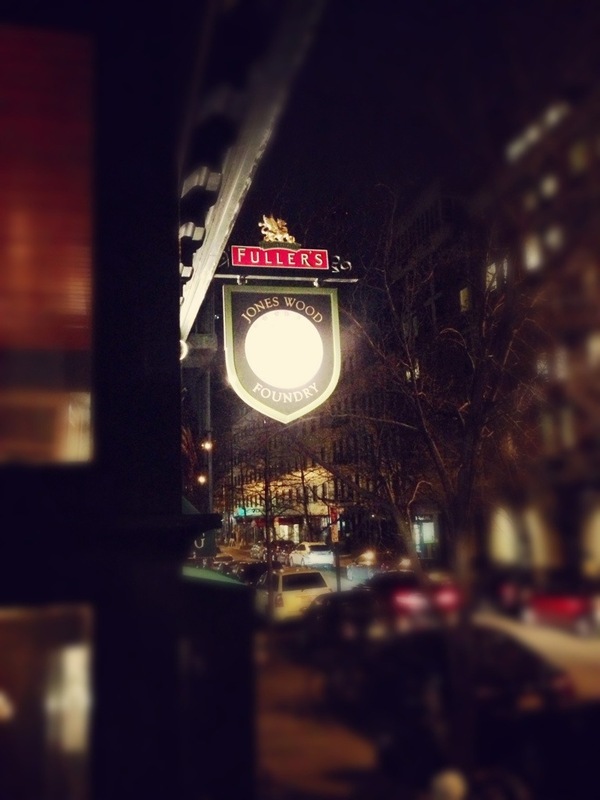 We had planned on dining at Gramercy Tavern one night but they misdialed our # and eventually gave away our reservation. Not willing to brave the below freezing weather just to try our luck with walk-ins, we picked up plenty of gourmet picnic type food from Citarella Market and had a delicious spread of food at home. 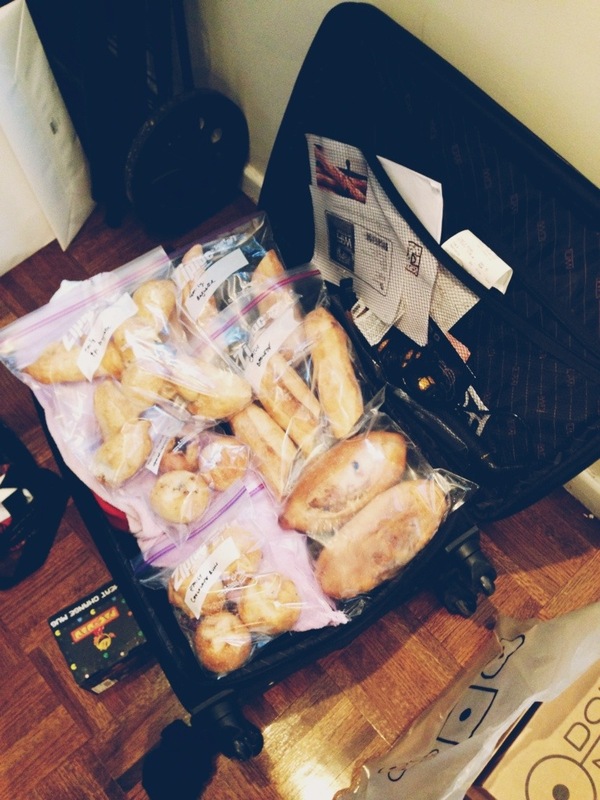 This was also the night we made focaccia and ate plenty of the baguettes from the baking class. 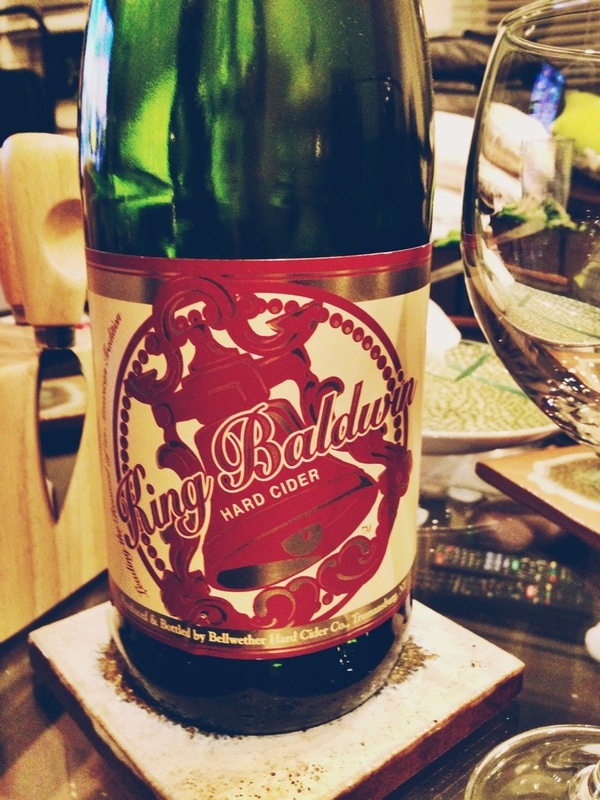 Enjoyed some hard cider with dinner. 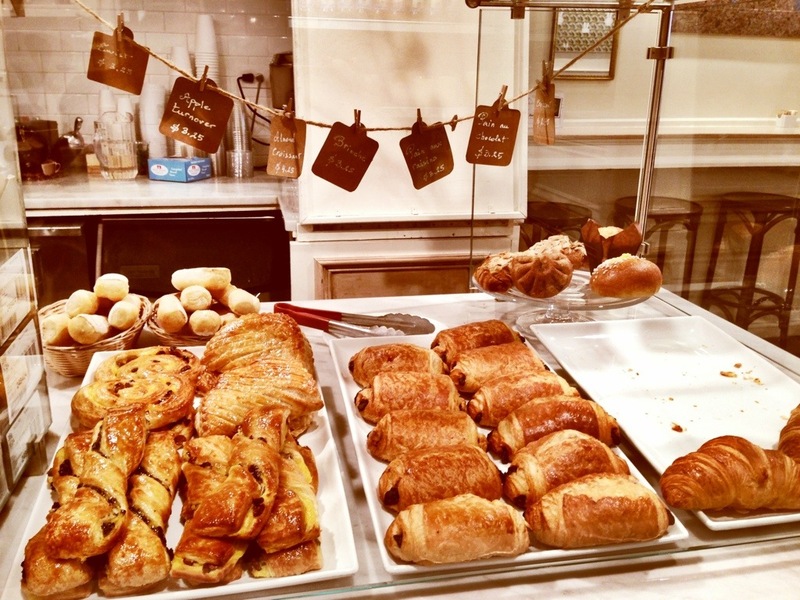 They have amazing croissants here that rival the ones I had in France. 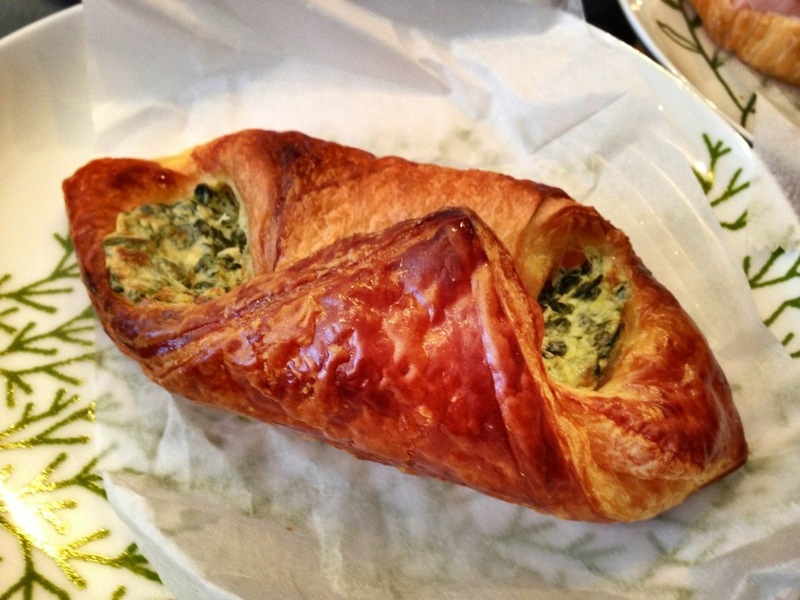 We tried plain, ham & cheese, spinach & cheese, and chocolate. This place becomes quite busy in the afternoon when school gets out. 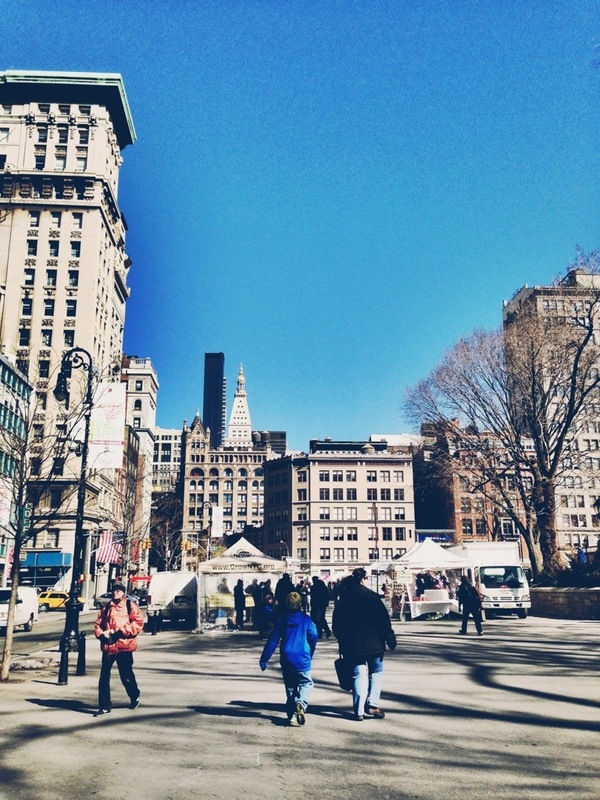 We went on President’s Day so there weren’t as many vendors as we expected. 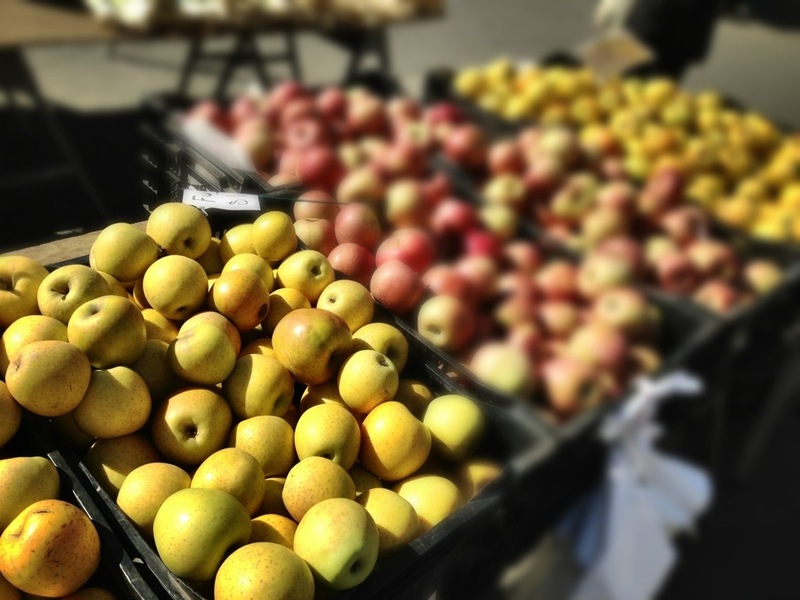 Apples were everywhere! 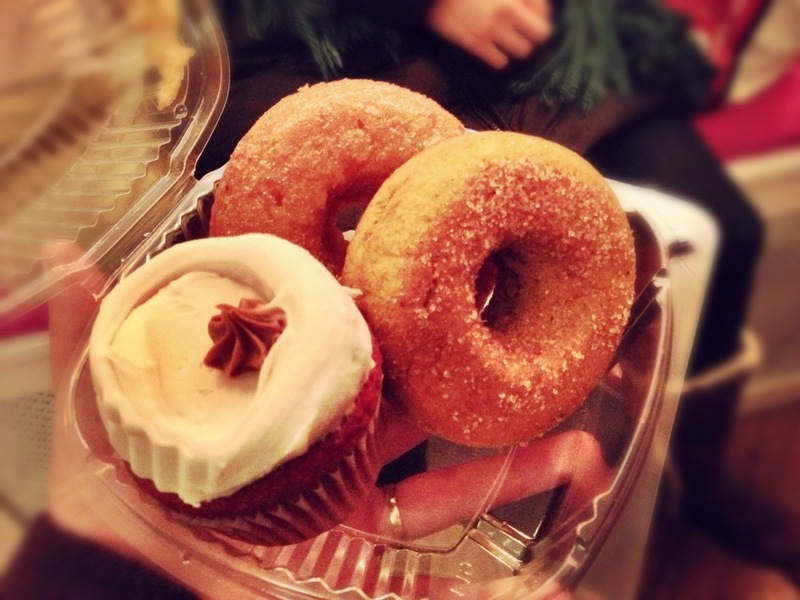 We were able to get some apple cider doughnuts too! They were addicting and ruined our appetite for lunch. After reading so many posts from other bloggers about their visits and purchases from this mecca, I knew I had to come here! Yeah, I didn’t want to leave. 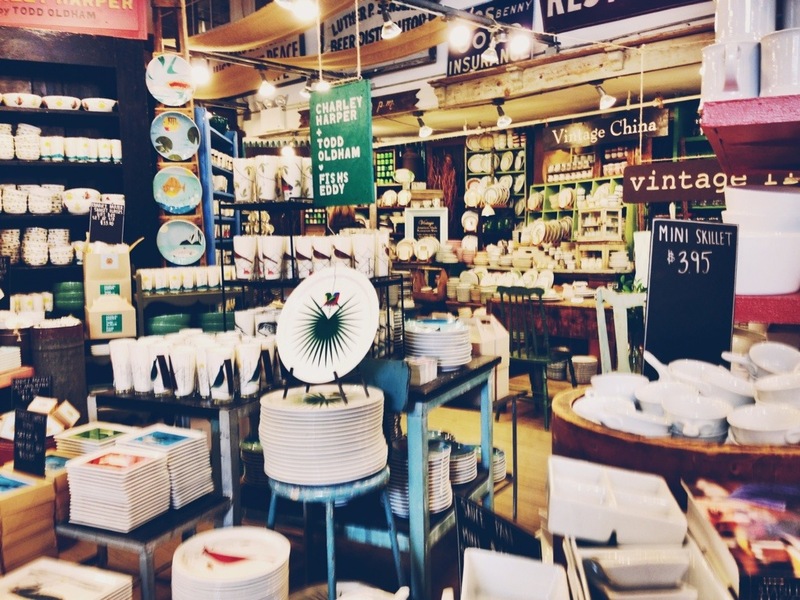 I wanted to buy everything from the store! Due to luggage space constraints, I left with only a couple plates, a giant mug with NYC’s skyline pattern, and some mini prep bowls. Very close to Fishs Eddy so we also made a pit stop here, their flagship reserve cheddar rules! We tried plenty of samples, of course! 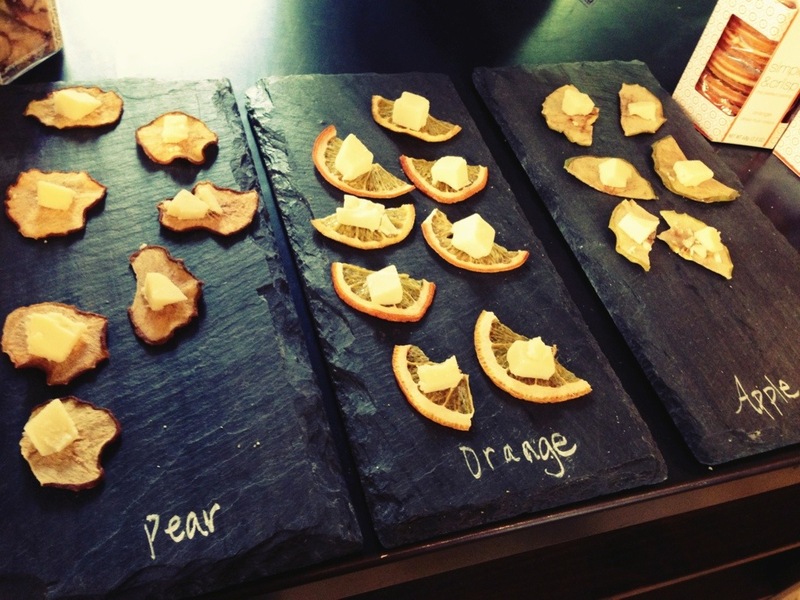 They paired the cheese with dried fruit chips and this is how I’m going to serve cheese from now on, no crackers needed! Waited 45 minutes to eat here, but it was so good! Restaurants now text customers to notify when their tables ready, we used the waiting time and strolled around the neighborhood and even managed to find a bench to rest our tired feet on. 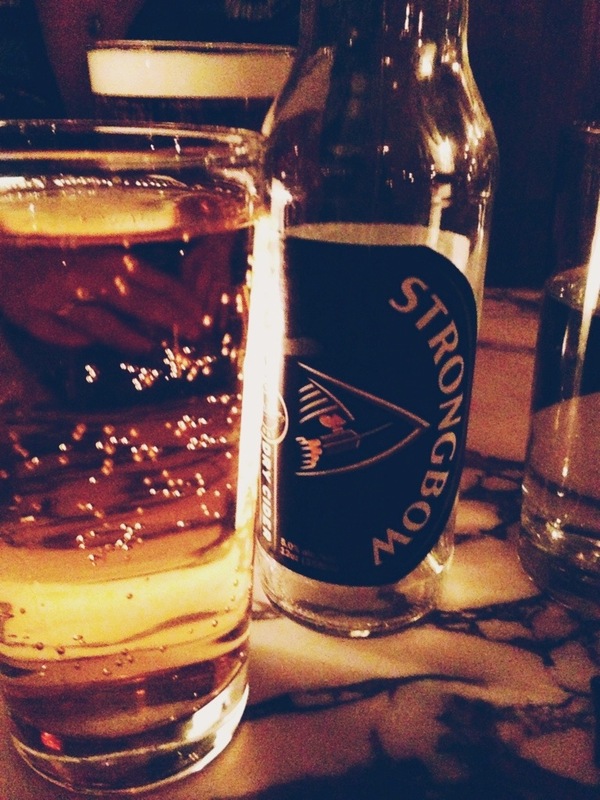 A nice port toddy drink. Brrrr it was cold outside! 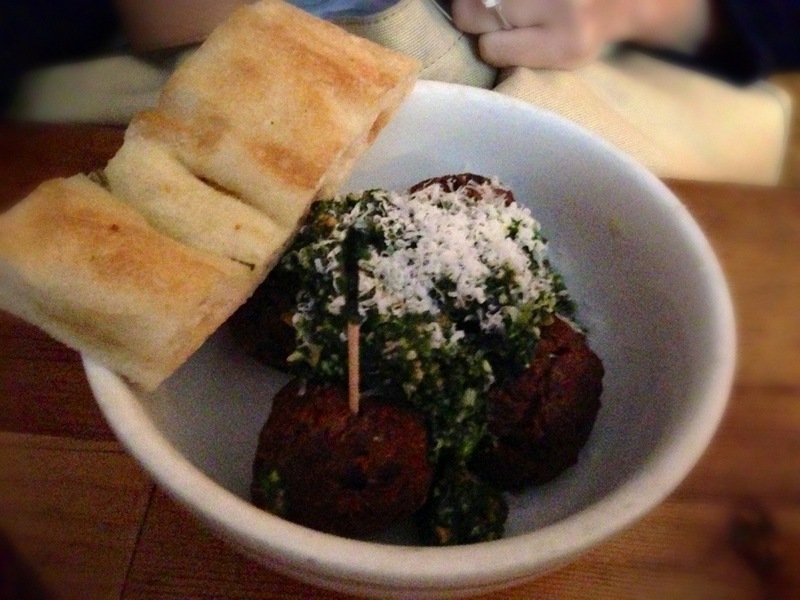 We ordered the classic beef with spicy meat sauce, and the veggie balls with pesto sauce. 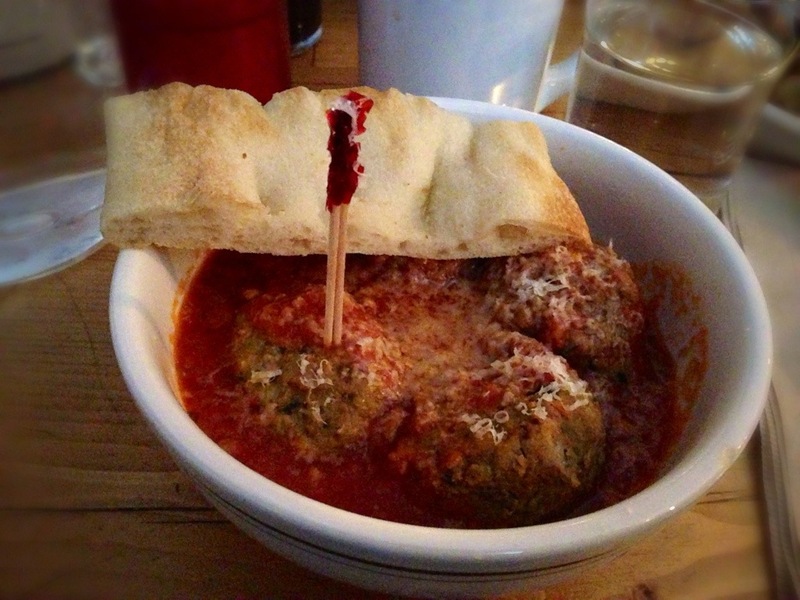 Each “naked” order comes with 4 meatballs with your choice of sauce and a slice of focaccia. You can also order them in the form of sandwiches, sliders, and salad. Several side dishes are available to be served on the side or under the meatballs with the sauce. We didn’t have room for dessert because we ate too many apple cider doughnuts prior to lunch, but watching those giant ice cream cookie sandwiches go by made us really wish we could eat more. I’m not kidding, they were HUGE! 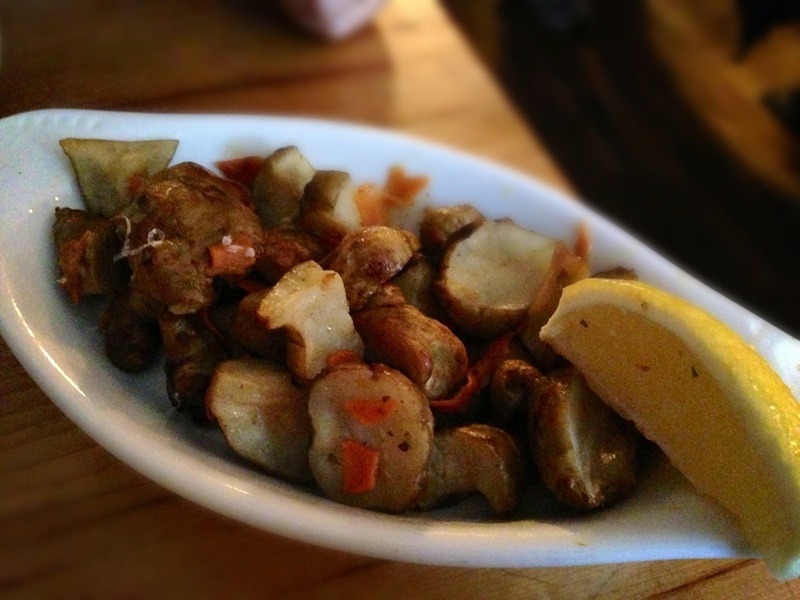 Roast veggie of the day was roasted Jerusalem artichoke with carrot ribbons and mushrooms. 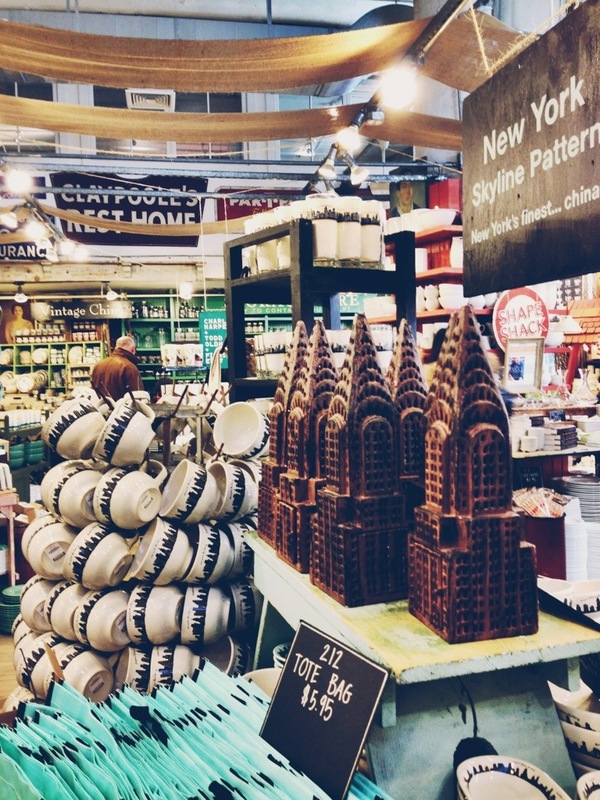 This is a great neighborhood gem in the Upper East Side. I first heard about this place from the Unique Eats show on the Cooking Channel. 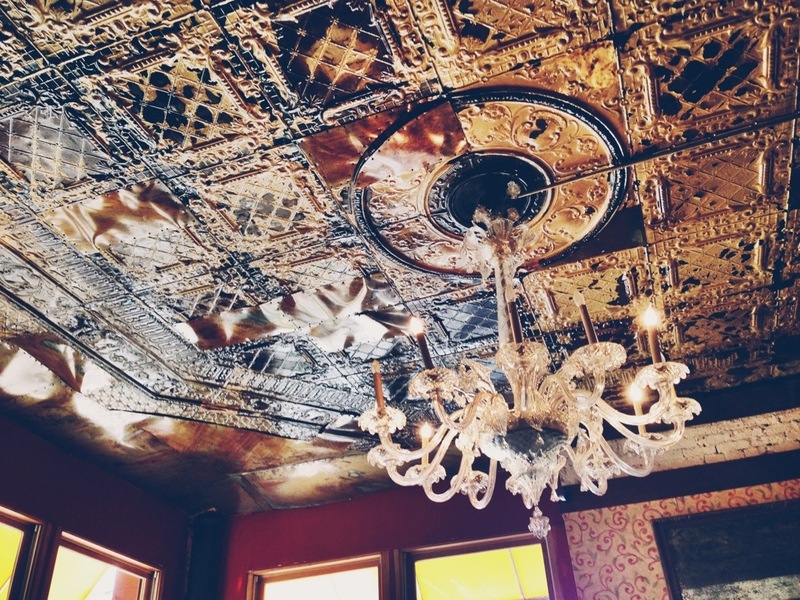 JWF call themselves a food driven Pub, and it seemed like a nice and casual place to hang out. Plus when I heard that they serve up some mean meat pies, I was sold! It’s incredibly hard to find a good meat pie around here…Let me just tell you, this place did not disappoint! I also loved the restaurant’s decor. 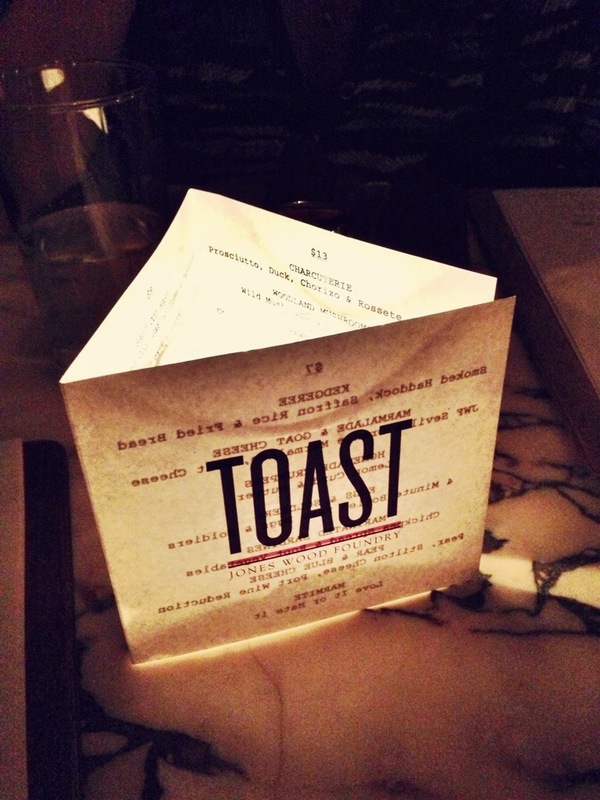 They offer a small bite “toast” menu on top of the regular menu. 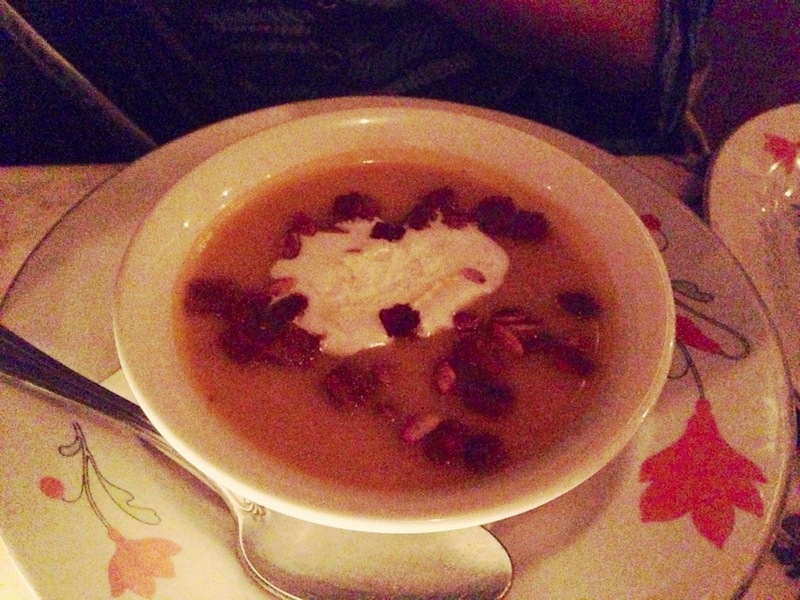 butternut squash soup, lamb and rosemary pie (below). Sorry it was very dark inside the restaurant, making it difficult to take any kind of pictures. I recently have a new found love for lamb. This pie made me a very happy girl. 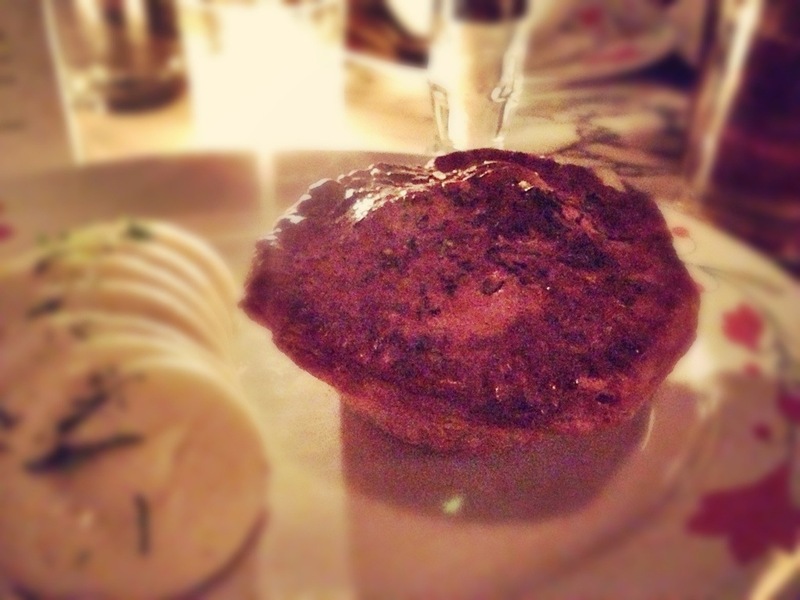 Flaky and perfect crust, tender pieces of lamb….I want another one! 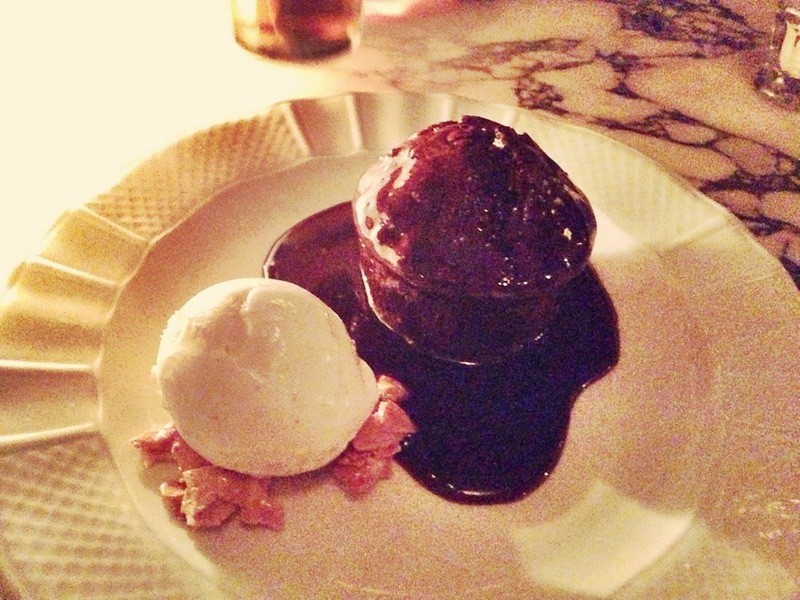 I HAD to order the sticky toffee pudding after watching that episode of Unique Eats. 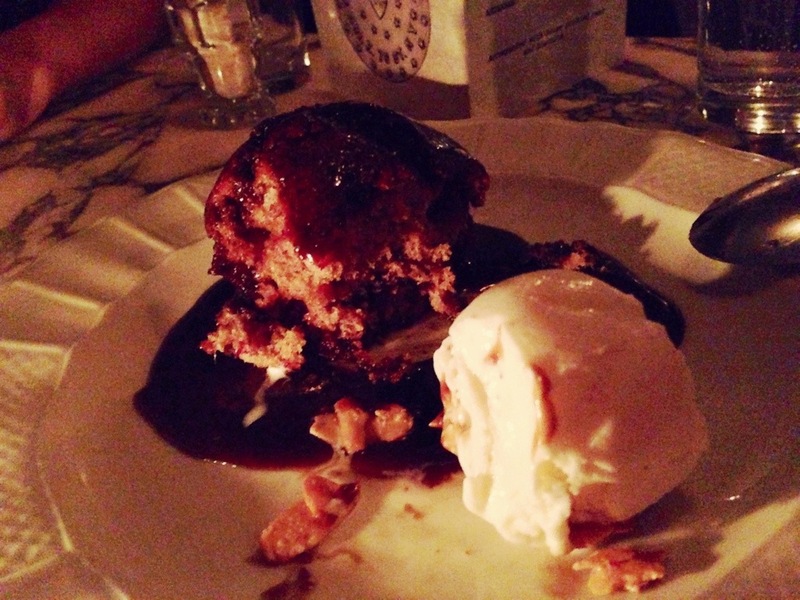 I can’t say I know what an authentic sticky toffee pudding should taste like, but this was the best one I’ve ever had. 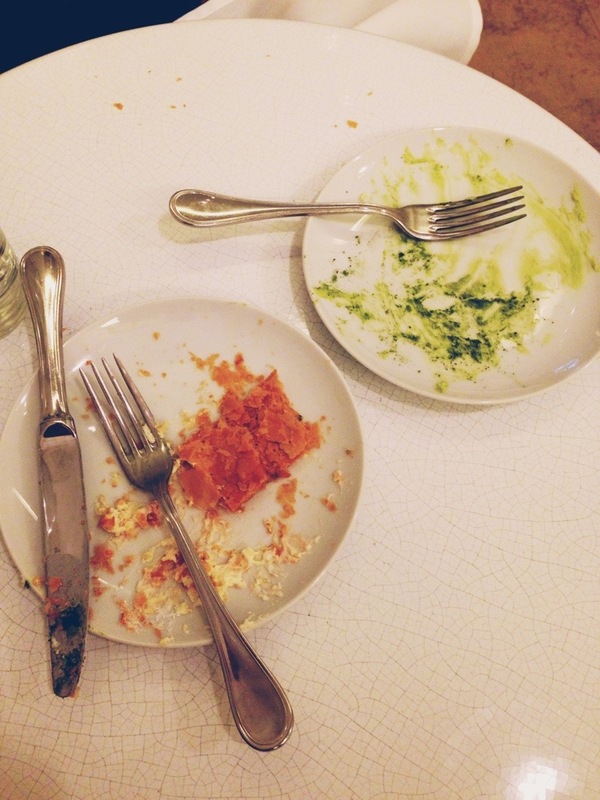 Below you can see our handy work after just 30 seconds of receiving the dessert. 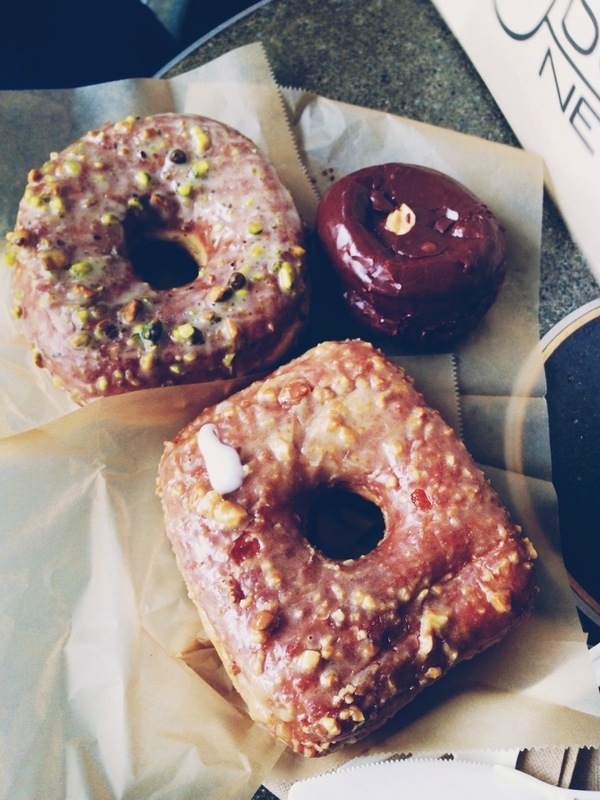 I’ve been obsessing over this place ever since I first tasted their peanut butter and blackberry jam square donuts. 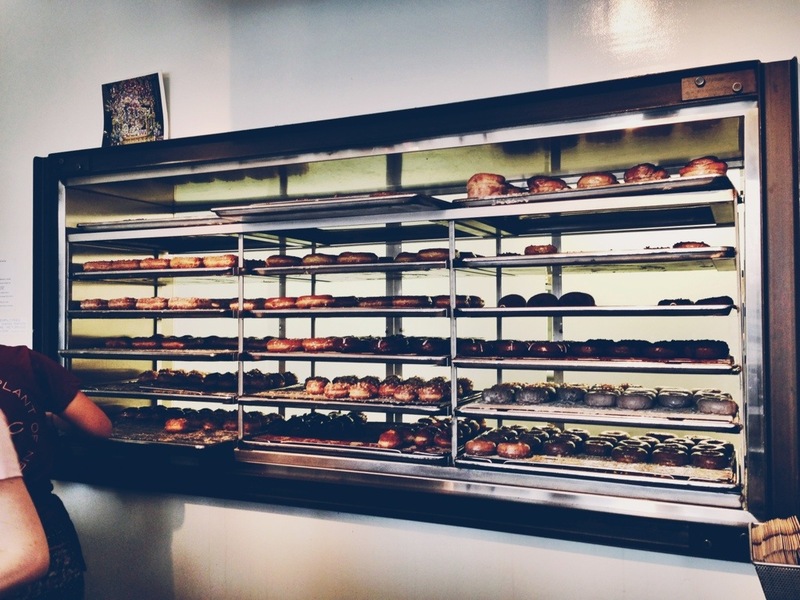 They have since remodeled and you can now see the lovely donuts displaying behind the counter, each calling out “pick me, pick me!” We picked a pistachio cake donut, triple chocolate, and my new favorite – peanut butter and banana cream. They also started selling “doughseeds” which are miniature donuts. They are a two-biters and travel surprisingly well as I brought home two dozens to share with my family. Besides the ones mentioned above, I also like their tres leches, vanilla/blackberry, blueberry, chocolate hazelnut, and orange. This place is pretty much my dream come true. 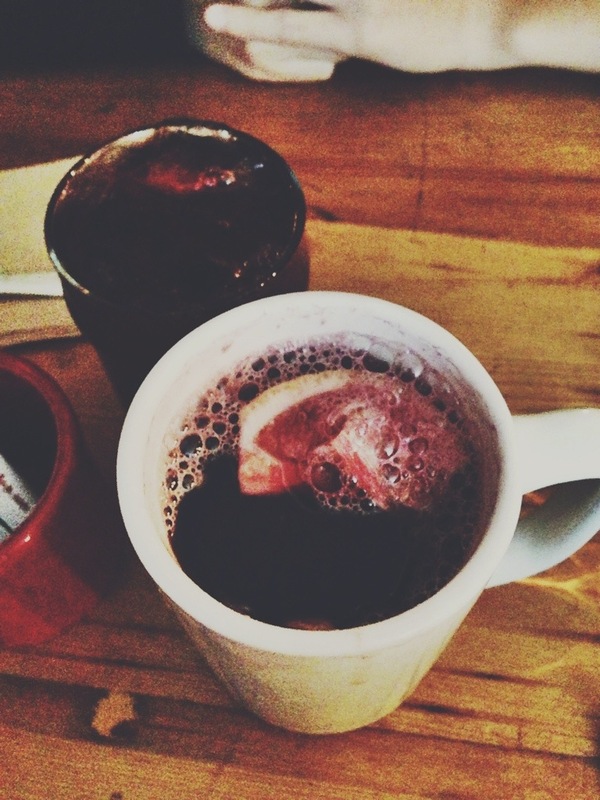 A place with markets, restaurants, wine bar, and cooking school. I could wander inside this place for hours, just browsing at the pasta, cooking gadgets, fresh produce and seafood, and the impressive selection of cheese and salumi. 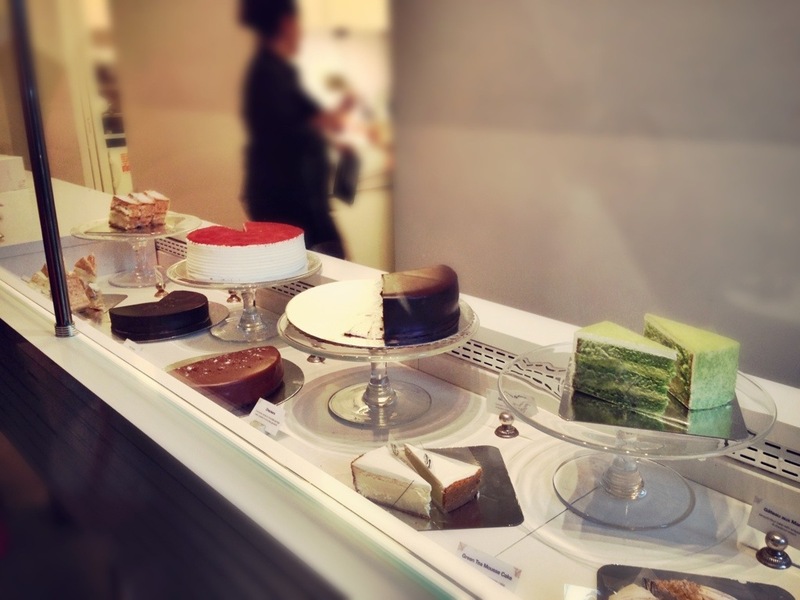 I also spotted an array of imported sweets and treats as well as a lavazza espresso bar. There are 7 sit down restaurants, each next to a specific section of the market as the restaurants get their food supplies directly form the market. 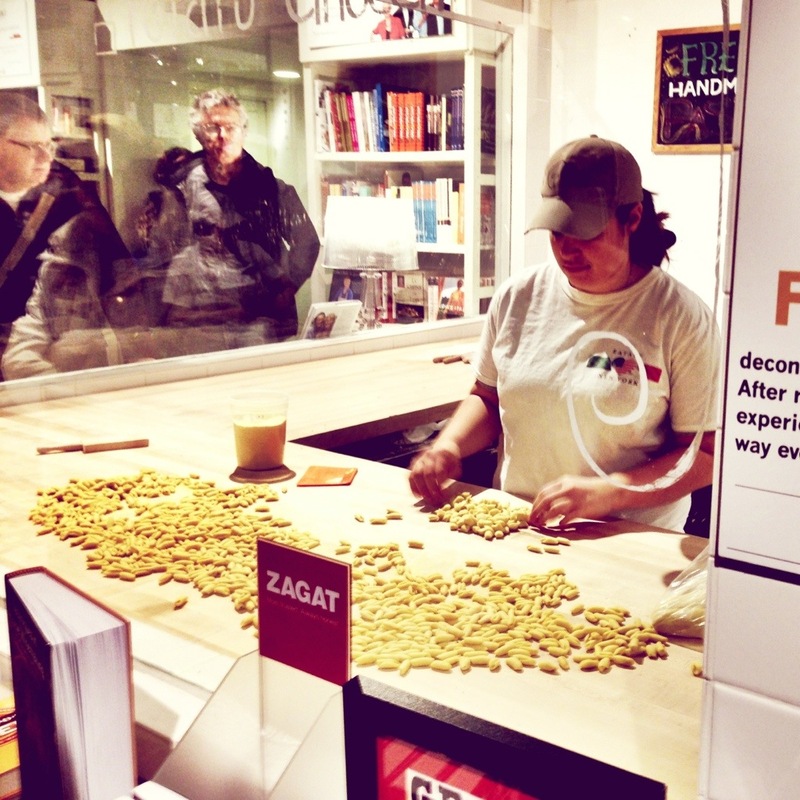 Here we see fresh gnocchi, orecchiette, and cavatelli in the making. 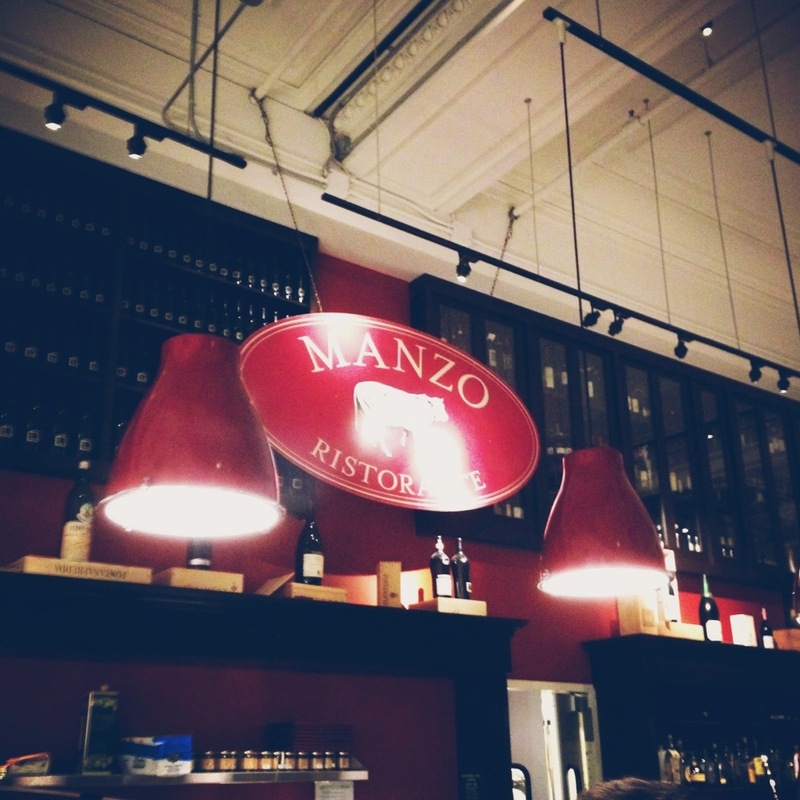 We had lunch at Manzo Ristorante. Manzo means beef in Italian so that’s what I shall eat for lunch! 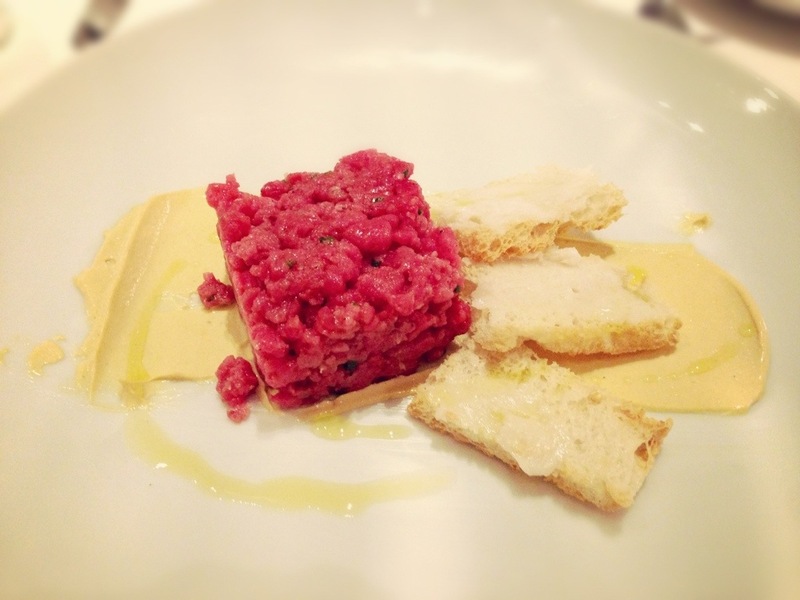 Carne Cruda – Beef Tartare with whipped lardo crostini and smoked mayonnaise. 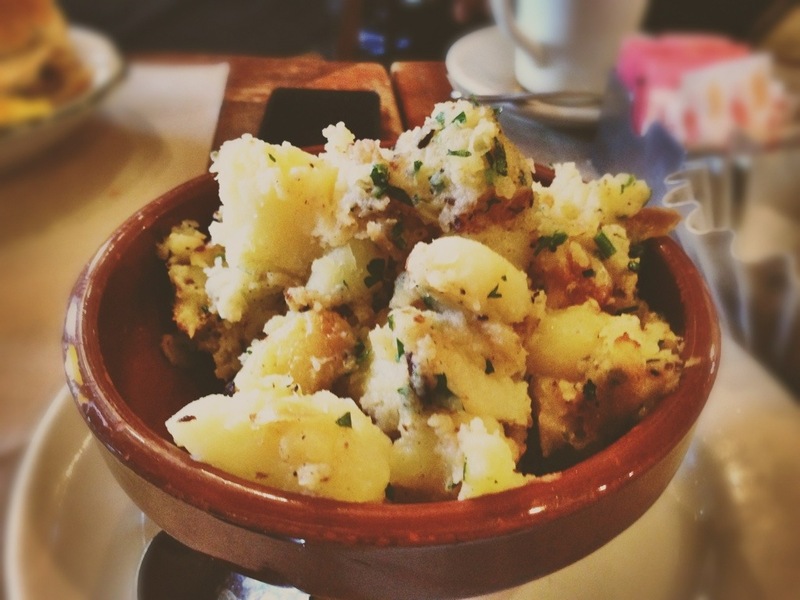 This dish, from now on, will always hold a special place in my heart. Just..too..good!! 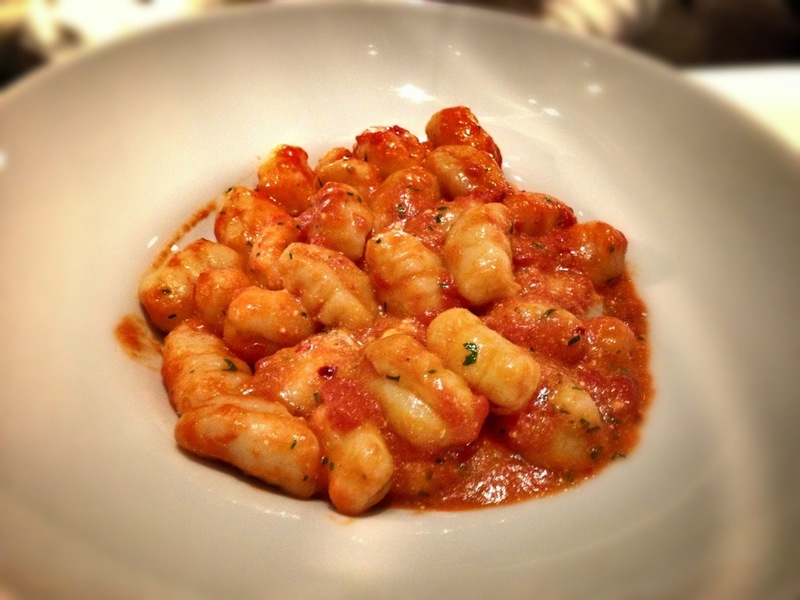 Fresh gnocchi with spicy tomato sauce and ricotta. Wow, that texture…light and fluffy like little clouds of goodness. One day I hope to make gnocchi half of good as this. The sauce was perfect, solid 10. 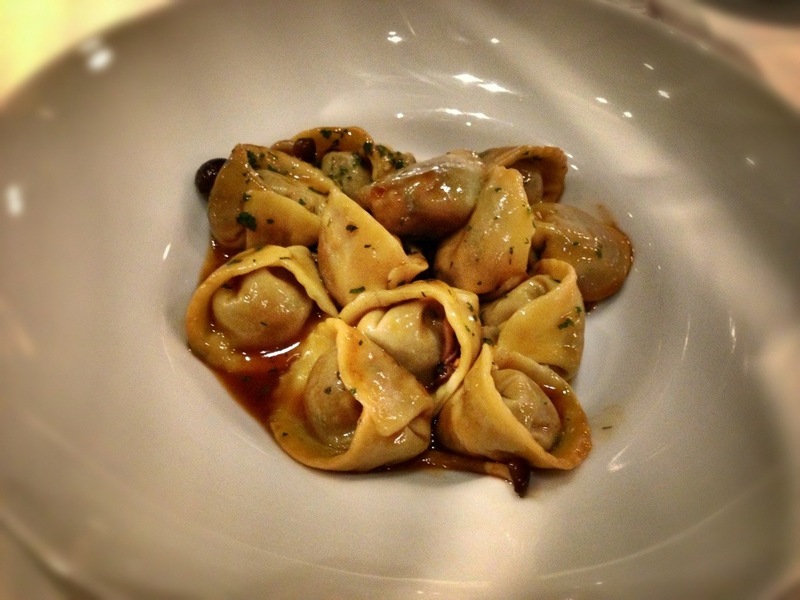 Tortelloni with braised beef and brown beech mushroom. A tad salty for me but nevertheless, wonderfully delicious. What a fantastic lunch, and I got to enjoy it with a glass of 2006 Borgogno Barolo Pinin. 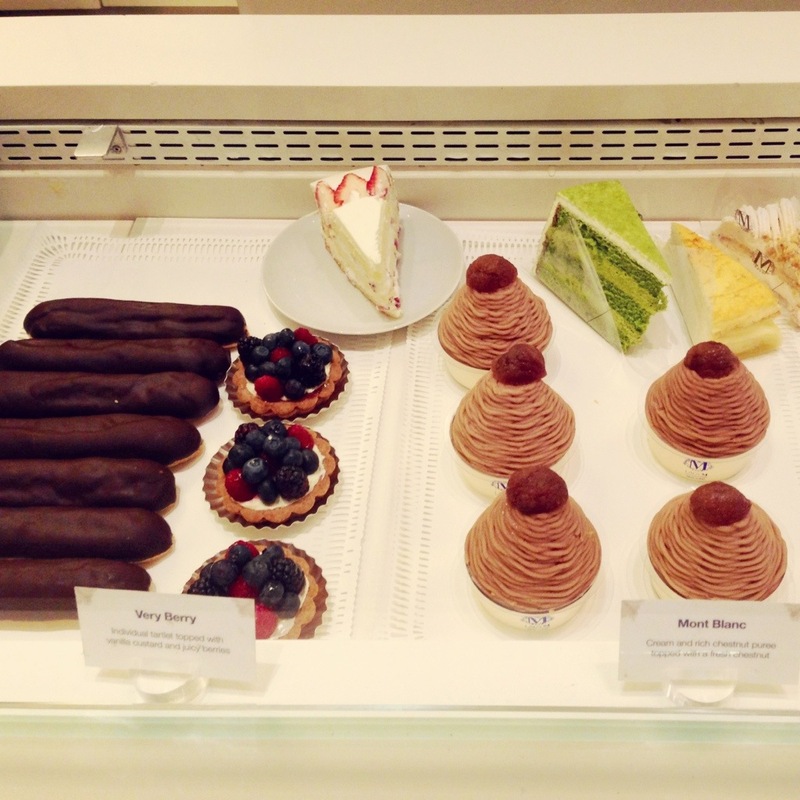 I have been wanting to try their mille crepes (crepe cake) ever since I saw it featured in several magazines a few years ago. 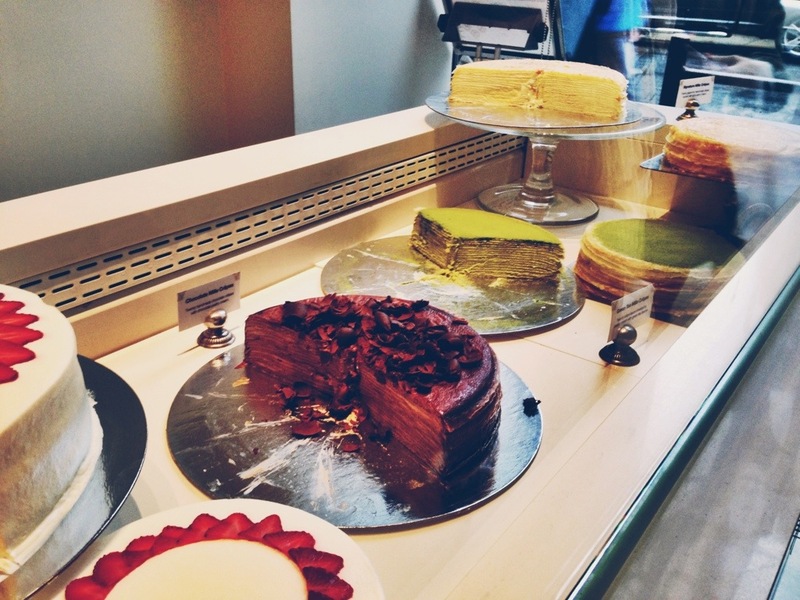 The cakes are $8/slice, we ordered a slice of green tea mille crepes and a strawberry mille feuille, both exceeded my expectations. 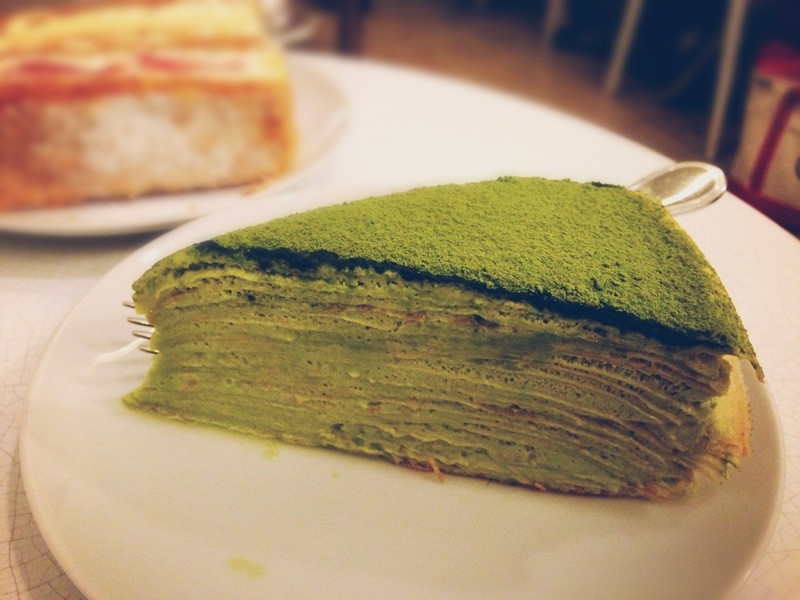 The crepe layers are all of equal thinness, and the green tea pastry cream was perfection, just enough sweetness to compliment the slight bitterness of the matcha green tea. Strawberry mille feuille was equally impressive. Their pastry cream is superb, and the puff pastry maintained its crisp and flakiness unlike many of the soggy mille feuilles I consumed before. 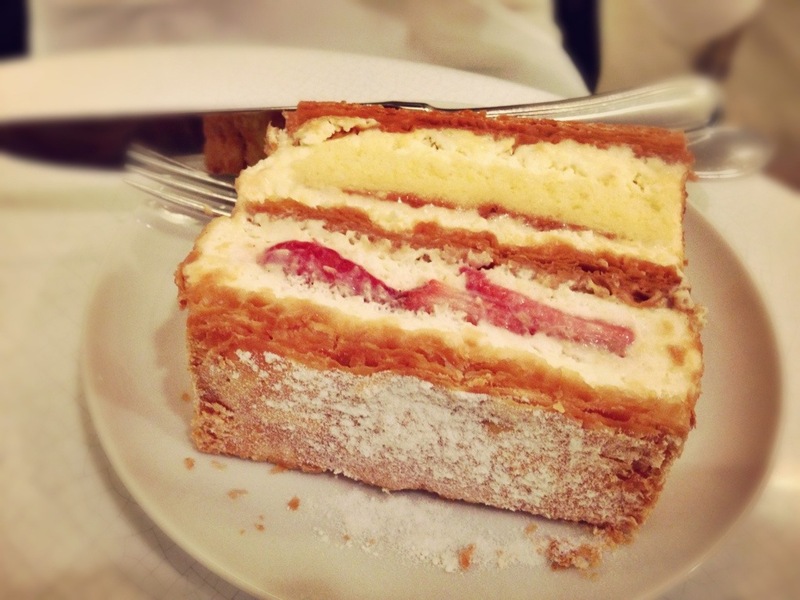 The slice of sponge cake in between the pastry cream was such a pleasant surprise. All gone. Being very full from lunch did not stop us from eating both slices of cake. 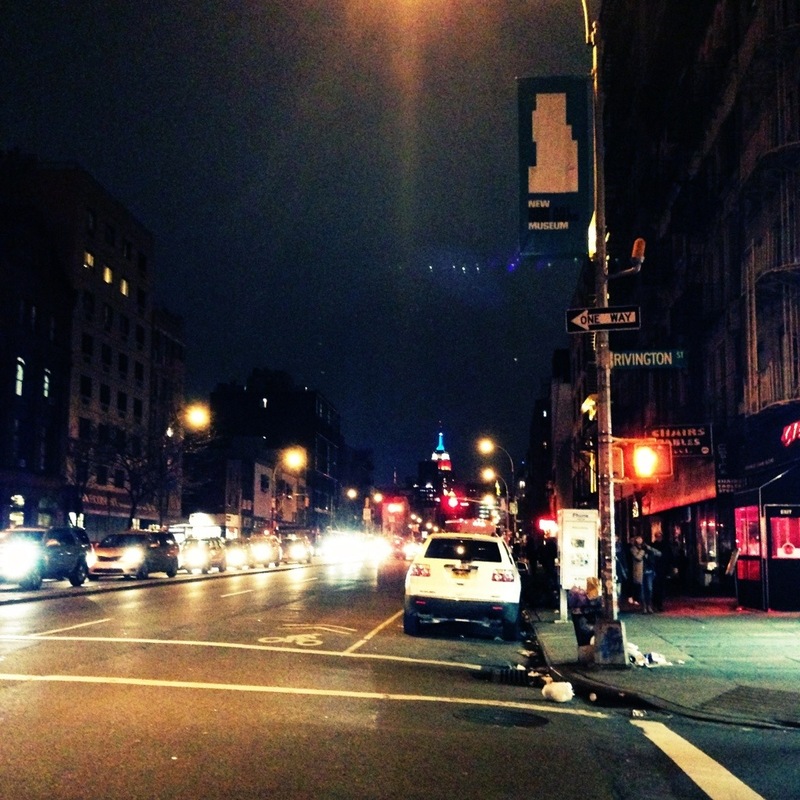 Walking around at night and saw the Empire State Building all lit up for President’s Day. The tea room is located towards the back of the store. This was just a quick stop to recharge. 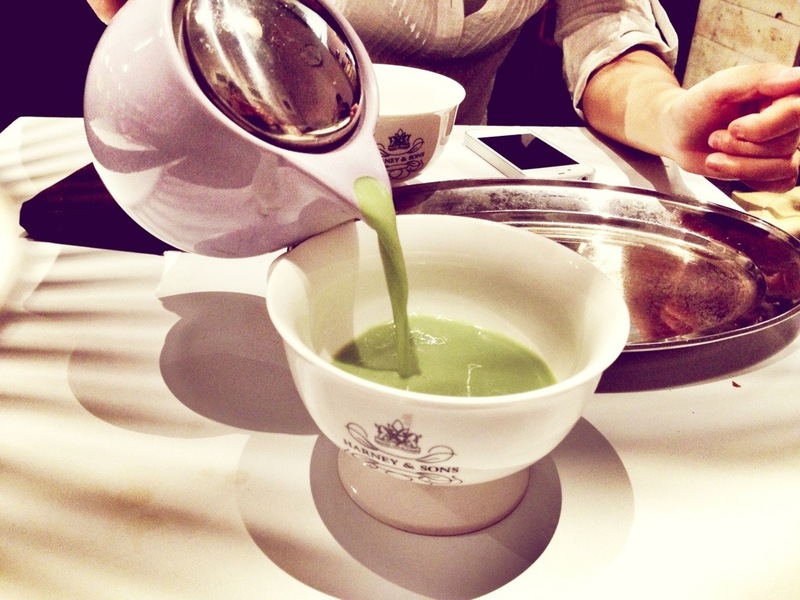 We ordered a pot of the matcha latte to share. 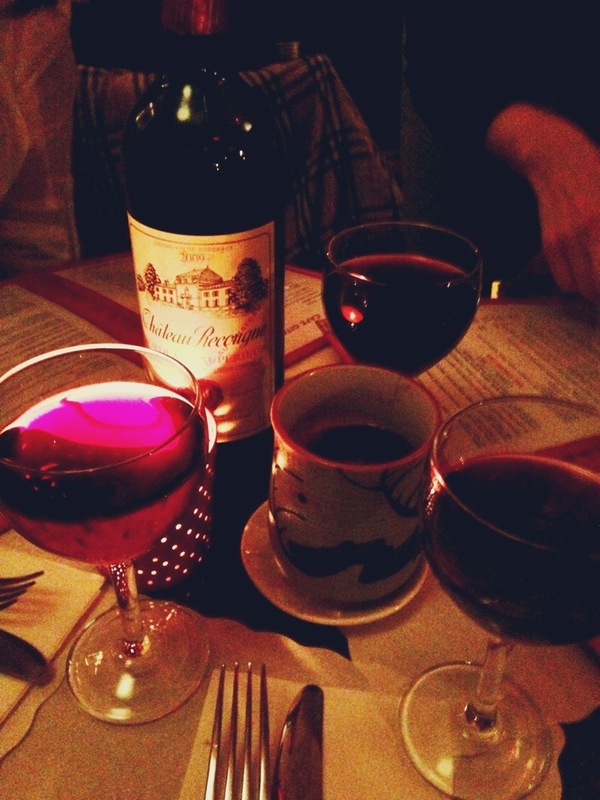 Pingback: [travel] New York Food Tour | Cin Cin, Let's Eat!